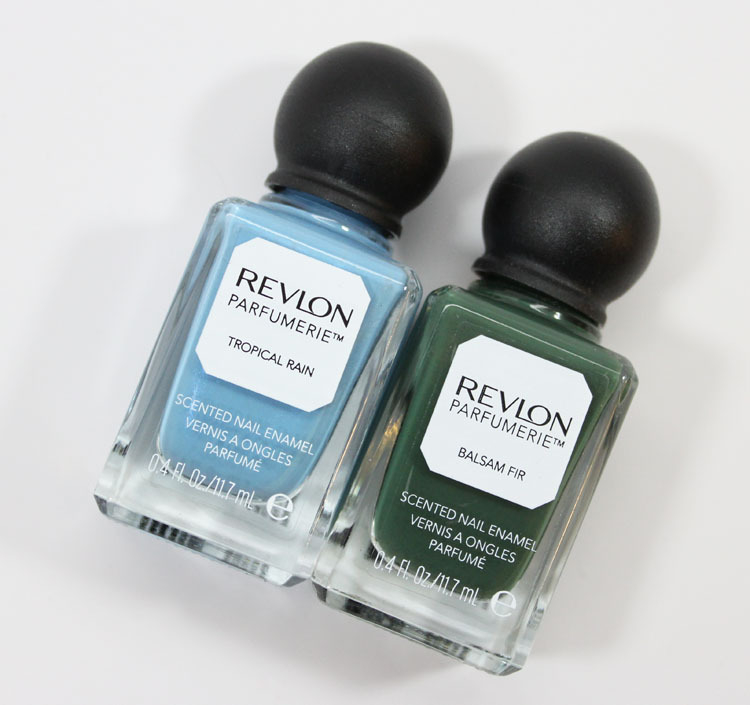 You know how I reviewed some of the Revlon Parfumerie Scented Nail Enamel shades here and here and really liked them? Well not too long ago I came across two more shades that I fell for. I’m not sure if these were part of the original shades that came out and I just didn’t notice them or what. But I saw them, bought them and love them! As with the others, you can’t smell the scent until they dry. So don’t go cracking open a bottle in the store and taking a deep whiff! Once they dry you can definitely smell them and they last at least a day or two, but do fade a bit. They aren’t so overwhelming that you smell them constantly, but if your hand is near your face you will catch the scent. 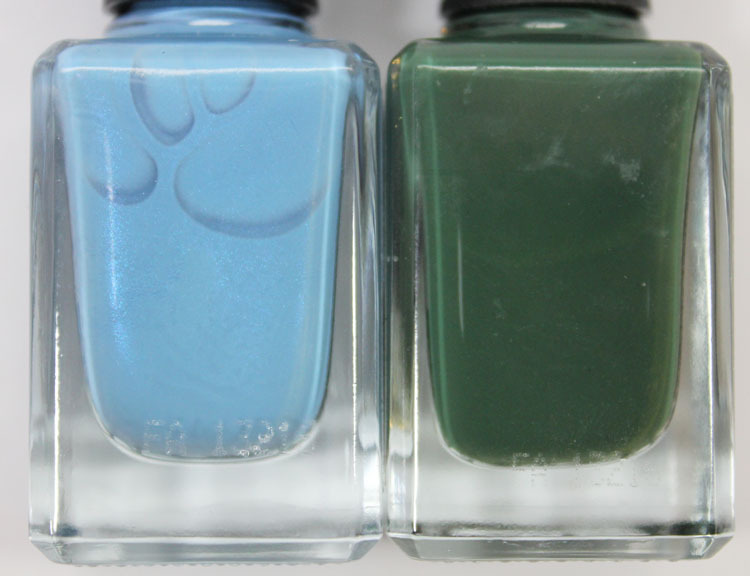 Tropical Rain is a light sky blue with hidden blue shimmer. The shimmer is what got me here. Ok that’s a lie. The sky blue is what got me – I am a sucker for sky blue nail polish. But THEN I noticed the shimmer and it made it even better. Is is rather hidden though, so you don’t really notice it that much. Oh well. The shade is really pretty anyway, and it was just two perfectly smooth and creamy coats to cover. Balsam Fir is a deep cool-toned forest green creme. Such a lovely shade of green. 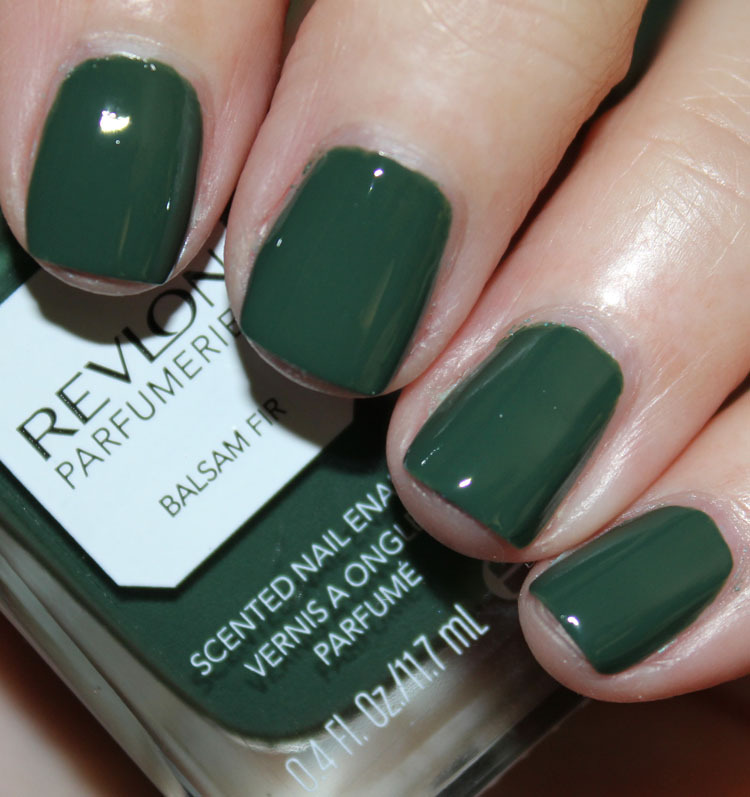 This one also has a really great formula and it also covered in two coats. Availability: CVS, Bed Bath and Beyond. Pricing: $4.49-$6.49 for 0.4 oz. Did you pick either of these two up? Which ones of these do you own?